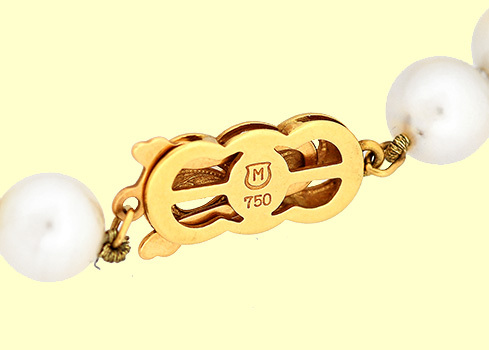 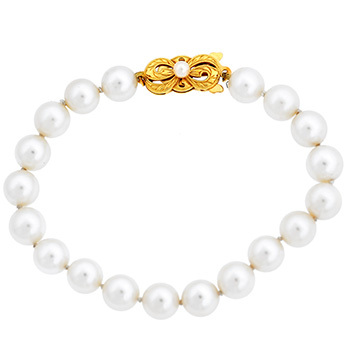 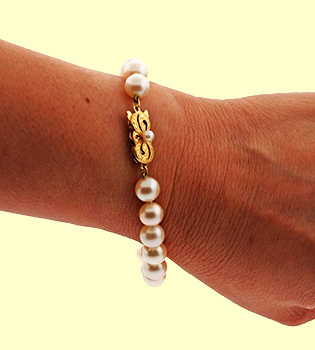 Lady's Mikimoto 7.5mm Cultured Pearl Bracelet with 18K Yellow Gold Clasp. 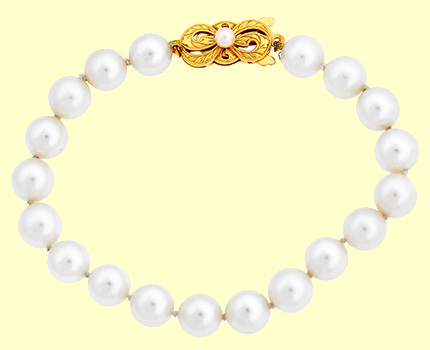 18K Yellow Gold Mikimoto Pearl Clasp. 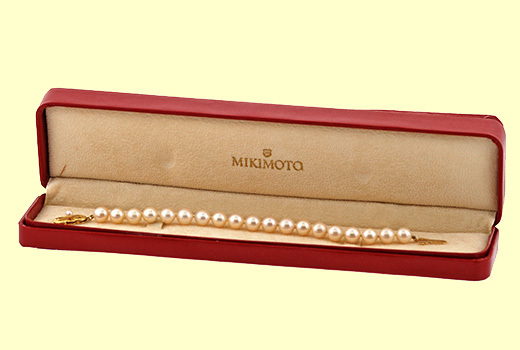 Complete with Mikimoto Presentation Box.